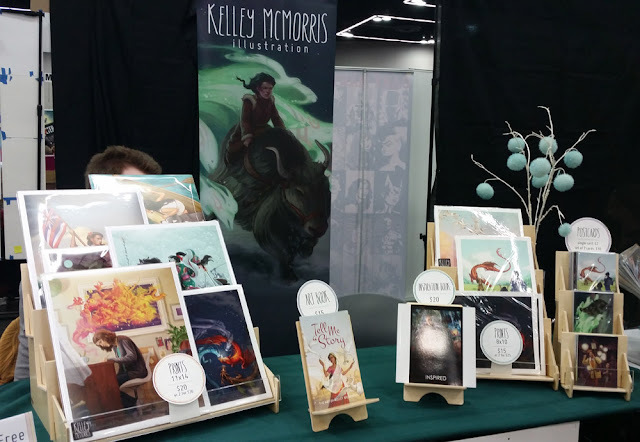 Last weekend I had an artist alley table at Rose City Comic Con. This was my first artist alley table in over a year, and my fourth ever. At my previous artist alleys, I had come out in the red every time, but I did have fun. This year I was looking forward to a new event with better artwork, better displays and a better pricing scheme. I was hoping to make some dough and some new friends. The event was packed. It was very entertaining watching people walk by our table in amazingly creative costumes. My favorites were a girl dressed as Zorg from the Fifth Element, a girl dressed as Cyrano Jones (an obscure Star Trek TOS character), and a girl who was dressed as the Stargate from Stargate SG-1. Also, a tiny little girl who was dressed as a squirrel handed me a peppermint. 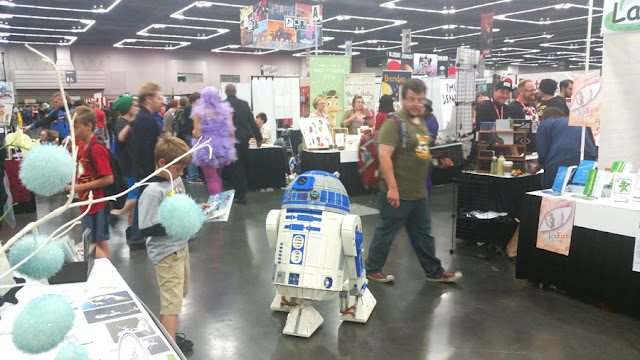 This lego R2-D2 also roamed the aisle near my table, chirping, swiveling its head and occasionally doing its high-pitched, piercing droid scream for no apparent reason. 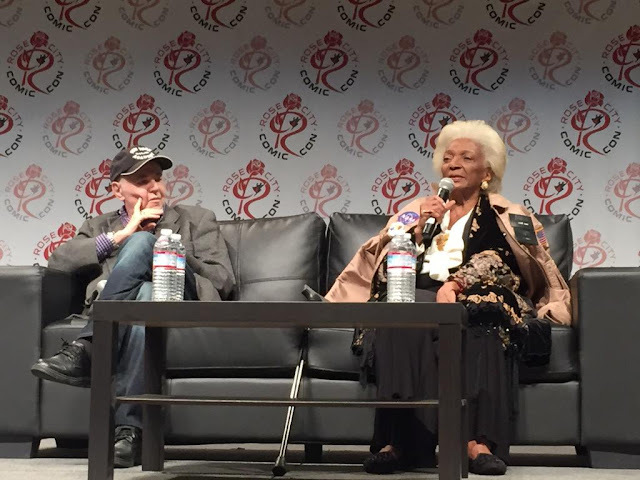 Probably the highlight of the con for me was going to the Star Trek panel, where I got to see Walter Koenig and Nichelle Nichols speak in person. They were very kind and funny - Walter even did a brief Shatner impression! Another highlight was when a lady picked up a print of Busyness and Inspiration, held it in her hands and said in a tone of amazement, "This is me. This is my life right now." "Things will get better! Hang on to the butterfly!" I responded. Then I was like omg Kelley that was so cheesy, stop being dumb! 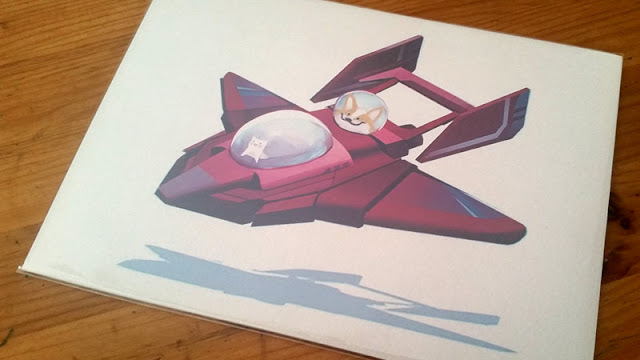 She bought the print, though. For whatever reason, things were slow at my table. 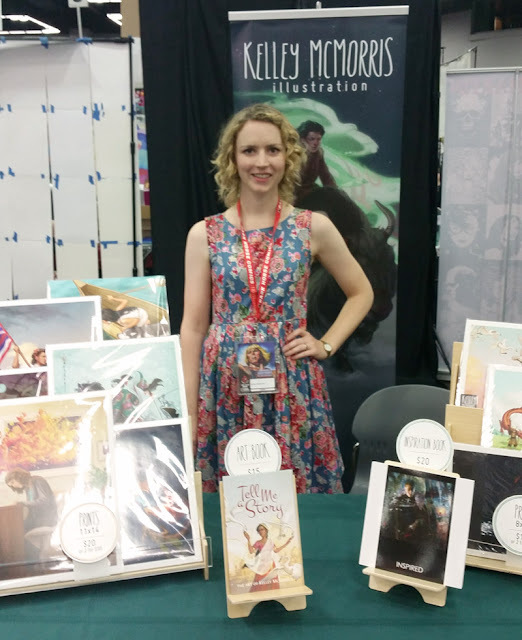 As the first day went on and I had only made a handful of sales, I was struggling to stay upbeat and chipper, and as an introvert it is tiring to try to look approachable and friendly for an entire weekend. 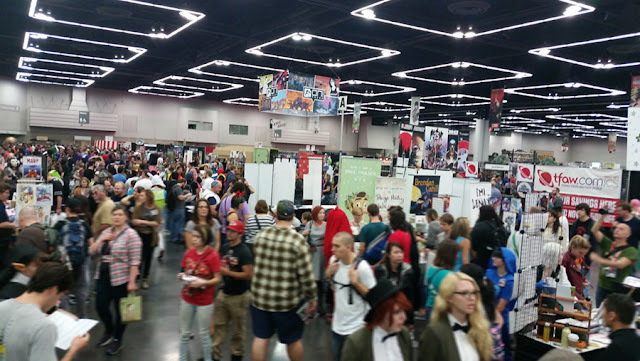 By the end of the con I was starting to get fussy and whiny like a big baby. After I had bitterly told everyone who asked that I wasn't coming back next year, I went home and counted my monies and found that I hadn't done quite as badly as I had thought. (What can I say? Numbers and math are very hard for me.) In fact I had my highest sales at a con ever - although that's really not saying much, and counting expenses I was still a little in the red. I have a few more cons planned for this year, and the beginning of next year. I'll see how those go before deciding if cons are something worth continuing to pour my money into. 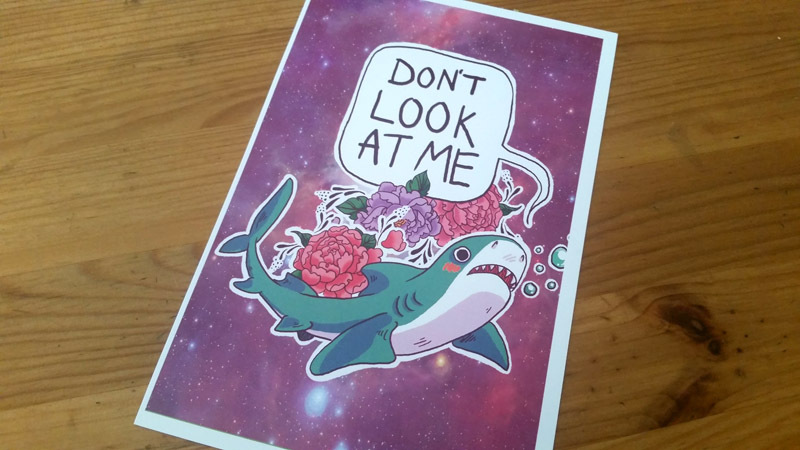 But I really do like meeting fans in person, and seeing my art make people smile. It gives me ideas for new drawings to create.